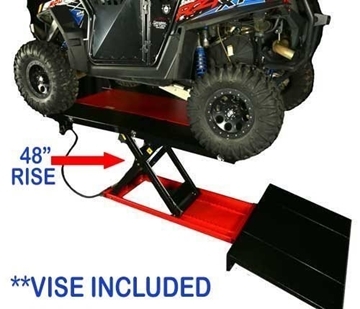 PRO 2500 FRONT EXTENSION is for use with the PRO 2500 Motorcycle Lift. 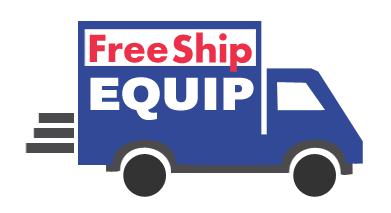 It extends the main table by 16". 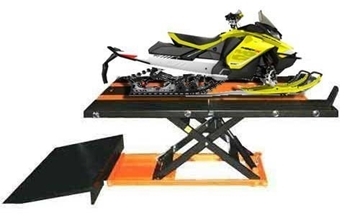 PRO 2500M 48" Heavy Duty High Rise Air Lift Table for many vehicles including various Lawnmowers, including riding mowers and zero turn mowers. 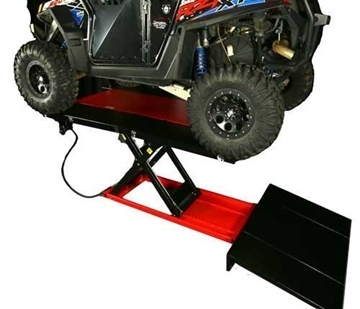 PRO 2500U 48" Heavy Duty High Rise Air Lift Table for many vehicles including various UTVs and ATVs.